The autumn colors of 2014 were some of the best I have ever seen in the Land Between the Lakes. 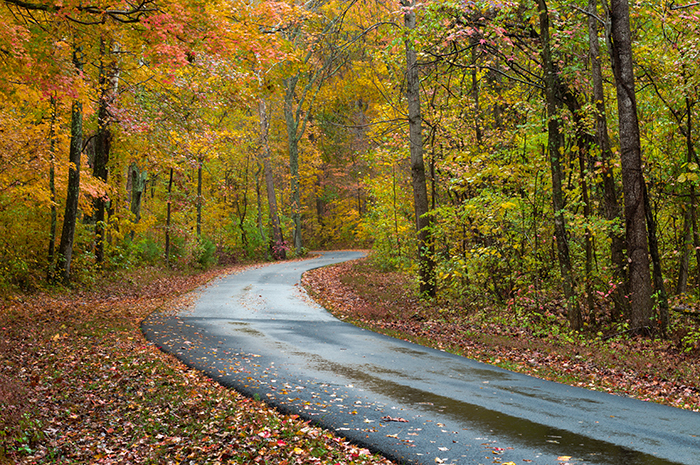 I stopped to photograph this scene in the rain, which made the wet colors all the more vivid. Photo © copyright by Jeremy Brasher.